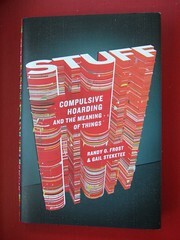 Compulsive Hoarding is a cluttery mess!! Have you seen homes that look like this? 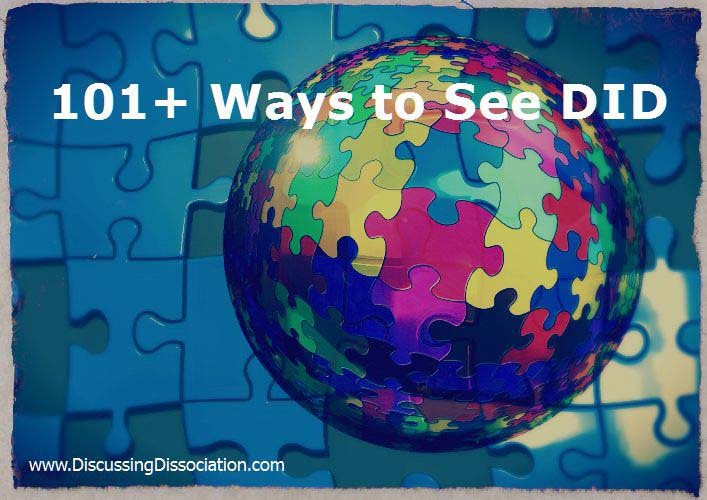 Are you also a dissociative trauma survivor? Compulsive hoarding, or disposophobia, is a psychiatric condition that affects millions of people. Compulsive hoarding is an obsessive need to acquire and keep possessions, even if these items have little value, are unsanitary, or broken, or unusable. Numerous items are kept and not discarded. Instead of using the items already owned, or looking for items that are lost in the piles, new items are acquired repeatedly to the point that the clutter creates significant dysfunction in a variety of areas of the person’s life. Compulsive hoarding is far more complex than it first appears. It is connected to a variety of disorganized chaotic behavioral patterns and disorganized thinking patterns. It typically occurs in combination with other psychiatric issues, such as depression, anxiety, obsessive-compulsive disorder (OCD), eating disorders, attention deficit disorders, addiction issues, trauma disorders, attachment disorders, etc. There appears to be a biological base to this behavior as research is beginning to explore a genetic link to compulsive hoarding in generations of families. As children, many hoarders were raised by parents who were hoarders, so not only is it a learned behavior, but it could also be biologically connected. The area of the brain most significantly different for hoarders is the part of the brain that is responsible for focus, attention, and decision-making. According to research done at the University of Iowa, damage done to the to the right medial prefrontal cortex of the brain tends to cause compulsive hoarding. Hoarders have a great deal of anxiety when pressured to let go of their possessions. 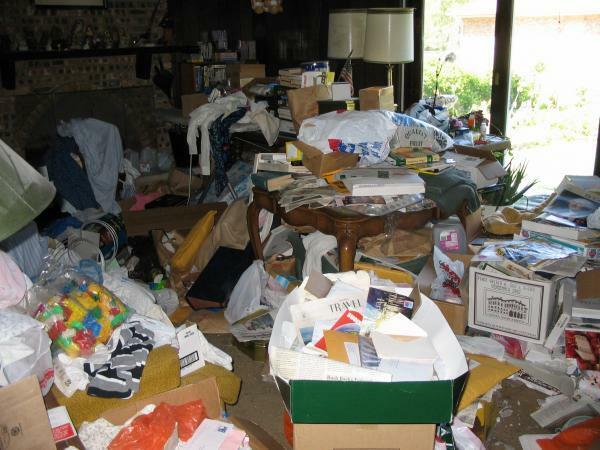 Hoarders typically require external assistance, including professional assistance, to help with the cleaning and organizing tasks. Feelings of emotional overwhelm, intense anxiety, and panic attacks can be paralyzing for the hoarder. These increased anxiety symptoms create an inability to make decisions, stir up friction and emotional outbursts, lead to fatigue and exhaustion, and repeatedly interrupt the cleaning process. Letting the hoarder have control of the cleaning process and allowing time for the harder to build trust with the cleaning crew is particularly important to successful organizational efforts. The clean-up process is intense and slow. 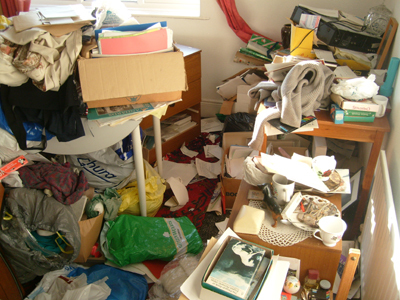 Forcing a hoarder to clean too quickly will not result in long-term resolution of the problem. The problem is not just “clean up your house” or “throw this away”. The problem lies deeper within the person, and the struggles will manifest again in just a short-time. How does compulsive hoarding relate to Dissociative Identity Disorder? Compulsive hoarding is an issue separate from DID / MPD, but many dissociative survivors struggle with hoarding issues. DID survivors have a variety of issues that overlap with hoarding behaviors: intense anxiety, deep feelings of hopelessness, fear of being out of control, problems with focus and decision-making, attachment issues, loss and grief, depression, the need for memory reminders, disorganized thought processes, disorganized behaviors, etc. How many trauma survivors do you know that did not have safe people to attach to? And how many survivors of neglect were left alone, isolated with no one to attach to? When children spend too much time alone, they tend to attach to items, toys, books, stuffies, etc. Attaching to stuff is better than attaching to nothing. It is an adaptive behavior in a painfully difficult environment. However, when this continues over time, the potential for these behaviors to develop into a compulsive hoarding situation increases. The emotional pain from not having deep personal relationships or the fear of being near people can add to the need to connect with physical possessions or animals instead of people. Building a personal relationship with stuff, and with animals can add to a compulsive hoarding situation. Attaching to stuff can feel much safer than attaching to people. With all the switching and amnesia that can happen with dissociative identity disorder, DID survivors can experience a lot of chaotic thinking and chaotic behaviors. It can be difficult to complete a task – you can be there, and then suddenly find yourself somewhere else five hours later, having never finished the task you started in the first place. These kinds of disorganized behaviors can leave unattended messes and growing clutter all around your house. Do your child parts pick up the messes they leave behind? Do your teenage parts pick up their clothes? Did anyone remember to finish the dishes? What about the mess those angry parts made? Who wants to clean that up? The “I didn’t do that, so I’m not cleaning that up” concept can get very difficult for dissociative survivors. You might not know who made the mess in the first place, or the part that did it might not be around anymore, you might not know how to call them back, etc. You might not know who to assign to completing basic household chores. Developing system work and system cooperation can help, but in the meantime, there can be a lot of “that’s not mine” / “I’m not doing that” arguments. Clutter and external disorganization can build while you are sorting out these internal system issues. How many dissociative survivors have trouble remembering if they have something? Do you own one of those things? Did you buy that, or just think about buying that? Or was that way back then? Where did you live when you had that? Or if you know you have it, do you know where it is? Sometimes it is easier to buy the item again than find it or remember if you have it. While this can be a dissociative symptom, this also contributes to the “Shop and Drop” behaviors found in compulsive hoarding. Shop and Drop refers to a pattern of behavior where the compulsive shopper drops their packages and purchases in some unspecified place. Over time, the packages and purchases get lost in the piles of other clutter, and then when it is time to use the items that were purchased, the location of the dropped items cannot be found. It becomes easier to buy those items again, instead of finding the ones you had. There is also the complication of accumulation by repetition. Compulsive hoarders will acquire and stash away numerous items that are basically the same. What if you buy everyone in your DID system a stuffie? How many stuffies will that be? What if everyone wants their own books? And of course, many of the different insiders will have their own shirts, their own pants, their own shoes, their own socks, etc. While it is extremely important that the insiders have their own things, the sheer volume of each of the parts keeping their own stuff can add to the size of an ever-growing clutter problem. The same as with compulsive hoarding, for DID survivors, things-possessions- items can represent memories. For DID survivors, memory is a very complicated subject. Having items that trigger memories, or remind you of certain things can be a significant part of a growing clutter issue. Loss and grief are hard emotions to process, and holding on tightly to the items that help you to remember certain people or events can be significant. It is particularly difficult to let go of an item that has emotional significance to you, especially if it feels like you won’t remember someone or something if you don’t have those correlating things. Consider appropriate medications for anxiety, OCD, depression, etc. Address your fears of letting go, or letting go of control – what is that about for you? Be honest with yourself about what you really need, what you will really use, what actually works, what you can actually fit into, etc. Challenge delusional thinking. Consider taking pictures of emotionally important but logically unnecessary items. Photo albums can be less cluttering than keeping all the actual items. Donate your excess to those less fortunate than you. Consider new rules to live by: If you get something new, get rid of something old. Address your deep feelings of shame, embarrassment, humiliation, fear, sadness, etc. Work on building deeper and longer-lasting attachments instead of repeatedly discarding and replacing things (but keeping it just over there in case you want it again). Work on building meaningful attachments to people, learning to trust, and finding ways to connect. Find healthy, meaningful ways to fill the voids in your life by doing more, and keeping less. Don't Touch My Stuff !! —> When children spend too much time alone, they tend to attach to items, toys, books, stuffies, etc. Attaching to stuff is better than attaching to nothing. So true. Safer to attach to things like stuffed animals & little sparkly things than to people. Much safer feeling. People have proven time and time again to not be safe. Yikes. Can’t ever remember ANYTHING…and a lot of times, life feels like a dream, and dreams feel real, so its hard to tell what we’ve really done, or what we just THOUGHT we’ve done. Thankfully, all of us were trained from an early age to keep our things neat and orderly, so, our house is all in order. But we also developed a compulsive need to have many containers to keep all our stuff in… and a compulsive need to try to keep it all organized, which is a huge challenge, since things often get hidden/ put away in weird spots (scissors in the refridgerator, for instance)/ kids putting things in odd places. Every year or two we go thru our things and give stuff away to charity to make sure we don’t hoard stuff, but we do have a tendancy to hang on to every picture, every photograph, every item a child has ever given us. Those things are hard to let go of. And we have tons of things leftover from childhood,, including bunches of toys. The inside kids want stuff leftover to stay around as evidence that they really exist. We have the opposite problem, we get rid of everything, clutter etc causes major anxiety. I particularly find it cathardic when I purrge our stuff. We dont buy much for ourselves, the bare essentials except when buying for our real kids, we dont go over board but would rather spend on them than ourselves although there is one who loves fashion so its a source of disagrement there. I certainly have seen many other dissociative survivors who experience clutter and mess the same as you are writing about. Sometimes, external chaos just adds to the feelings of stress and anxiety, and keeping tight control on the external mess helps people feel so much better about a lot of other complicated difficult stuff. This hits home for us. We aren’t horrible about it… yet. But we do have to monitor ourselves very closely to keep it in check. We really attach to things, as reminders, as proof of our existence, lots of security and certainty wrapped up in things. Some things we don’t “use” but the having them in itself feels useful. Definitely need to think more on this. Its a big issue for us. over the years we have gotten much better about this but still the kids find letting go of their stuff to be very hard and they often want new stuff. we have made rules about what sort of new things we can get and also we get afraid of using stuff up for instant paints and markers and tings so we remind ourselves that we can get more and we say when this is used up we will get more which really helps us to create more art and the art is very healing. occasionally things arrive in the mail that are a surprise to me but it is almost always something we really need, for instance we buy certain food items in bulk because it is cheaper and we order them because we don’t drive. i was very overwhelmed for a while and just never got around the ordering stuff but it came anyways! i was so glad the money had been spent buying it locally would have cost so much more. i have no idea who got the stuff for me though. and the kids get small things but usually they don’t remember getting them and no one says who got it. we need to work on that. also this time of year everyone always wants to receive their own gift and that is to expensive and causes to much clutter so we have to make compromises and come to agreements and realize that we could get one big thing and share and that is better than a lot of small things. this year we came to a really good agreement though! I have been struggling with compulsive hoarding since I was a small child. I have always had a very strong emotional attachment to just about ANYTHING since my family had almost no emotional attachment to me. I am so proud of the progress I have made in detaching from random items and focusing on my life. Things are not 100% neat and flawless in my home, but at least I recognize the problem I have and WHY, so I have been able to take some steps to make a change. Also, I was able to let go of an entire 10X15 storage unit of “stuff” when I moved into my new apt a while back. I’m so pleased with this change, and I’ve got a long way to go–but I’ve come a long way. Thank you for this post, Kathy. It’s great, and sheds a lot of light on my feelings and behavior. Take care! I am not a hoarder as such, and I do a reasonable job of cleaning out a few items every season, but there is one particular area where I struggle. I try to keep notepads with me at all times but not always successfully. I get thoughts, or internal dialogue pieces, or I make connections or have insights and I have to write it down for fear of losing it. Sometimes I transfer the idea to a journal or I physically stick the piece of paper in. But I don’t keep up with it and I have four or five journals on the go and dozens of pieces of paper, from receipts to envelopes, in my purse, in my cd holder in the car, by my bed, inside books I am reading….It goes on. I feel I can’t let go of any of these pieces even if I have made a note of the idea somewhere else. To get rid of one of these pieces of paper feels like I am denying my life, denying my story, denying my abuse. I am afraid I will forget that it was real and return to doubting again. Perhaps the pieces of paper represent the pieces of the puzzle of my abuse I am trying to understand and put together. Does this resonate with anybody else? I went through an entire case (100) green garbage bags and I can’t tell you how many old boxes from the basement that I filled. My husband hauled pick up truck loads FULL to the dump. Did I ever think that I was hoarding?? Ummm… not really! ROFL. Further more, I thought the behavior was related to my deep depression. (which is what I thought I had prior to treatment) I also like to remember the mess as insulation ~ protection from all my fears. It was scary getting rid of all that stuff but man did it ever feel great when I was done. As a reward, I bought myself new coffee tables. Now when ever I look at those tables, I remember that I can accomplish whatever I set my mind to, (including recovery) and they remind me of how far I have come. 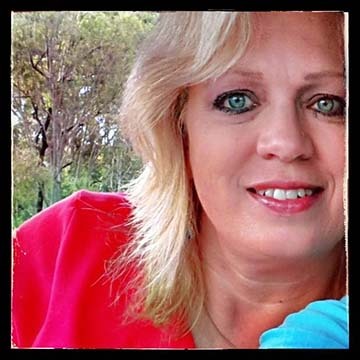 I really appreciate your blog Kathy. Wow. I want to say my place isn’t as bad as in those photos… but I’m not sure who I’d be kidding =( It does run in my family, but not in linear fashion. Me, my mom, my dad’s mom… All have trauma issues. Not sure if it is DID in mom and dad’s mom or not. But certainly something. I have a terrible time parting with stuff. It all has meaning. Well, wrappers and trash do not, but I just can’t get to cleaning it. Like Pilgrimchild, i too relate to “When children spend too much time alone, they tend to attach to items, toys, books, stuffies, etc. Attaching to stuff is better than attaching to nothing” as well as “Do you own one of those things? Did you buy that, or just think about buying that”. Was hard and funny to read and see so much of my life on these pages. we hav TONS of stuffies and i no let her give dem away. they are mine. yoo say “Decide your current life goals, and keep only items that match with those life goals ” but me not ok wit that – you noe give her ideas cuz she mite do it. Ach, clearly this article has hit a nerve. My therapist is already displeased with the lack of progress i have made in this arena. But i don’t know even how to start! Always makes us cry. She doesn’t understand that I can’t just get rid of things that are not mine to give away. I know I need help with this. Mom sure doesn’t tho, and at the moment, we live together. no one is allowed in the house because they might see. We all finally got the main floor clean for the holidays and she lectured ME about keeping it clean as if it were my fault. But even when her bf came over for Thanksgiving, she still closed her upstairs bedroom, even when he is not allowed up there. Sorry for the long post… I’ve found few people who understand this. Mona, I also have problems with notes, journals, etc. I forgot to metion that in my post above. I, too, have to keep every scrap. Some are written by alters, in non-dominant hand writing, and we just can’t trowt hem out. sorry – swapping again. *sigh* it would be like throwing out peices of us. Kiyacat…yes exactly! It would be like throwing pieces of myself out. I often write in my non-dominant hand too, as a way of getting in touch with my younger selves. I am not DID but I have internal other ages. I sometimes am afraid that there is something I HAVE to remember and if I throw some note out I will lose a vital insight or memory forever. Thanks for sharing Kiyacat and gobbies, too. It’s good to know other people understand. Myabe that we all shouldn’t worry so much that we’re alone, shammed, or worry that DHS will show up condemming the place. -and that we have a lot of cleaning to do and storage things to buy. Kathy – this is a major issue right now because I just got funded housing and will be moving shortly. Packing? Cleaning? Moving? With 14 alters?!?! @_@ I don’t even know where to start. I know it is GOOD that i am finally getting out of a toxic house and relationship (mom). I know that i NEED this so much (i’m 33). AND…. we’re scared. frantic. will things be lost? will everything fit? how do i move all this stuff? can we really part with things???? do we HAVE to part with things??? People ar offering to help us move, but then they might see the STUFF. One idea i had is to move slowly – take what we know we want. Sort HERE and leave behind what we don’t NEED. then work on those things, sorting talking with the kids, see if we can give them to other real life kids. It is scary. We used to move all the time as a kid – and stuff did get left behind. maybe that is part of the hoarding for us. stuff would be sold without my/our permission or just not “fit on the truck”. lost our favorite my little pony sea horse that way. then it became an obsession, and now we have over 300 my little ponies. cant get rid of those no way. mind is slipping i’d best stop writing. oh wait, another scary thing is taking all the stuff off the walls cuz one really bad abuse year ther was no picture on the walz and we nevr let that happen again. now to tek it off the walz is scary. glo stars an picturs and poems and prettis. i came to read and reply to this because i hadn’t read it before, but now i get to the comments and see that Caroline has already been here, read it, AND replied.Hm. –>The emotional pain from not having deep personal relationships or the fear of being near people can add to the need to connect with physical possessions or animals instead of people. –> Attaching to stuff can feel much safer than attaching to people. We have lots of pictures. We hoard pictures. Our house is stuffed with them, in frames on the wall and in photo albums and scrap books. Instead of being around people we look at pictures of them. We also have inside people who love to throw stuff away. Get rid of everything. Have no attachments to anything. That’s probably why our house isn’t full of stuff. Plus, my stupid ex boyfriend, he and his family were hoarders. His house looked like the one in the picture you have here, only… yuckier. Even infested with bugs and moldy food everywhere. It was awful. I can’t stand to have anything that reminds me of that, so I’m always straightening things and picking up. My husband grew up with a hoarding mother.It continued for nearly 30 years(from before my husband even turned 10) until discovery and a threat of eviction made her wake up and actually LET her now grown kids clean it out.It was everything,except waste and garbage.She could never just take one catalog or one leaflet,she took at least 5-6 copies. Newspapers,old books,sacks with clothes,old furnishing,records,letters.You name it,she had it.Her stove had not worked for years so she used it to store paper and letters in.She used her non-working refrigerator for the same purpose.She went out to buy food daily beacuse she could not store it and she bought a camping stove to put on her kitchen counter to cook on. She never let any handymen in,so of course the stuff could not be replaced or fixed. I understand that these people have problems,but nevertheless it makes me upset that this can continue for years and that children have to grow up in messes like these. I suppose my husband and his sisters helped her to keep up appearances(which was dead important to her),but they could never let friends come home with them.Not once. She´s now over 80 and too old to keep this behavior going thank god,but believe me,the behavior of hoarders do affect their families more than they may realize themselves. My husband always says he can´t stand clutter,and I understand him completely.He´s also an expert cleaner and he can clean up fast if necessary. neurotica – yes it truly affects kids. i am 33, living with my mom all this time – JUST got an apartment with a lot of help financially and elsewise, and I am now the one who has to break the cycle. Mom says I am the hoarder. She believes herself to be the neat one. She’s had piles all my life. Piles that are now out of control. I have chaos too – but I think I am seeing the pattern now. Yes, I learned it. But also, severe chaos and clutter keeps her out of my space, since she allows me no boundaries or privicy. When she is gone for any amount of time, I keep the kitchen clean. But when she returns, the mess returns. I am moving into my apartment slowly, so that I sort here and take only what we want. Wish me luck – it’s hard work to break the cycle. I’m not sure what it is about this topic, but in just over 2 months of being posted, this blog article about Compulsive Hoarding and Dissociative Disorders has become of the top five pages viewed on this blog. I find that after several years of regular exercise after having joined a gym, gained a social group there, and upping my exercise slowly, eating very well wo excess grains, I have succeeded in dealing since Ihave the energy!!! Kiyakat, I totally agree as when I do this and visit w family I love, especially with the little babies(!!! ), I feel renewed upon my return to my mess. I must add to my above comment, I have given up alcohol and any recreational drugs (taking no medicine at this time either) and lowering sugar by quite a wide margin than before. I must go to the hall and continue to bag. I find that bagging, clears the floor, allowing me to sit on my bed and sort to throw, or on a step. THe cleared floor does the trick at first. THe discipline must come through as noted in my comments above re the gym, meals.I love the article. My husbands family are hoarders and mine were not so I must deal w the DID in them as well. God Be WIth Us All !!! It’s the end of the year, and many of us are thinking about goals for the New Year. “Cleaning house” is often on that list. This article about hoarding was once one of the top viewed articles here at Discussing Dissociation — for months and months, it was the top viewed article in 2009 – 2010, surprisingly enough. I’ll send it through again, and see what the viewers of 2014 – 2015 think. Your comments are welcomed, of course! And for those of you struggling with compulsive hoarding, please know there are people who understand and can help. You’re not alone. I wish you all the best in your healing journeys. Missy has been getting rid of bunches of our stuff. She keeps giving things away. Lr throwing things away. I hate it when she does that. She gives away stuff that i want to keep. Shes trying to get rid of everything even herself. I have trouble with this, but not so extreme that my irl kids can’t have friends over, I have trouble with paper/mail. And photos…. Every photo is important! The photos from childhood I realized are what I remembered, well most of them. I came to understand that I didn’t actually have memories from childhood aside from those photos, Until, I came to understand I had alters, and THEY had/have the memories. I have piles, but they are out of the way, and sometimes get moved/dealt with. May have more to say later, as this is a big issue with me/us. emotional confusion? Simple is less stress but feel that it is also self punishment many times. No toys, hidden journals, ect. VERY Secret of US. There isn’t hoarding of things. There is a difficulty letting go of people who are not good. It is as if the anxiety level to let the person go gets way too intense and some just can’t or won’t. They cling to people who are abusive, manipulative, and down right cruel. This article may be about things. We see that things aren’t the only problems as far as the letting go aspects. Another topic all together but we found this and replying. Eek…this hits home. So shameful. This is very close to my problem, except for one thing that I noticed – Surfaces must be covered! I don’t know why I have this problem, but having everything totally nice looking makes me anxious! That must be very hard. When you go other place. Do you find yourself trying to cover those surfaces when you’re visiting other peoples homes? Are you able to maintain that and just be completely stressed out over it when you’re visiting someplace or services are completely bare? My problem isn’t anything like those pictures….but i DO have a problem now with being extremely disorganized and can’t remember where I put stuff…..which is really weird since I used to be so “on the ball”…..kept up with bills and check registers and appointments……I am having trouble with time frames even though I try hard to not let it show on the Outside……. Now so much is fuzzy…..don’t know what is what…good thing a lot of my bills are automatic debits for payment……I find myself writing “notes” for safe-keeping – bubblings from Inside – notes about insights….but then can’t remember where I “hid” them – and then get really scared that someone at home or someone is going to sneak into my truck and find them and then know that something is really “wrong” with me…….it feels like “clutter” helps to “hide” my lost notes – because WHO is going to bother to go through all THAT mess!! I write on scraps of paper in the moment because I can’t remember where I put my “notebook” – or when I last had it – or even what color the current one is that I am looking for….more so – where have I stashed the old ones????? I have a travel bag full of “note-scraps” that I had my T keep for safe-keeping when I went on a trip one time – I was afraid that if I died before I got back home, someone would find it and read all my “weird” stuff……I got it back when I got home – but now I don’t know where I “hid” it….and if I look for it too much, hubby will start asking questions and then I will get really scared…..he is home most ALL the time – so I have no free space/time to try to find it………T lets me mostly email stuff to her now since I can’t find my note scraps and I can’t remember everything I NEED to tell her during our once a week sessions…….. Some stuff I can’t get rid of because it is the only “proof” I have that it really happened – ticket stubs, seat assignments, etc are proof of the years and time frames trips and events happened…..it feels very “disconnected” and I can barely remember any of it even though it was a trip of a lifetime for me ……. I get scared that someone (especially at church) will hear about one of my missions trips and ask me about it – and I can’t remember anything about anything – except “good cheese there”, or “a lot of walking”…..and they look at me like something is wrong with me…..it is a scary feeling…….. I feel like I have sections of life that belong to “someone else” – but tickets prove that it was ME….it has my name on them……so yeah, it’s like I would be throwing away a piece of myself….proof that I existed like that…that I could do that …..that I traveled to nations and wasn’t afraid…that I actually could talk a real conversation to people….that I could say “I’m not lost – I’m on Planet Earth!” and not be a bit afraid (I remember that coming out of my mouth!)……. I don’t know where that person went to…or how she did it…or if I will ever find her again…..because now I am scared…..a LOT! I can’t do more than a “2 or 3 sentence” necessary verbal conversation with most Outsiders without fighting internal panic (my T excluded)…… unless I suddenly shift into “babble mode” and then wish I would shut up because I hear myself saying too much of all the “wrong” things…..I would be VERY introverted before a trip, shift into “trip mode” to do what I needed to do, and then come back to VERY introverted mode….I felt “lost” unless I was on a “mission”…….. I can write OK (although I can babble in writing, too!) – but when someone looks at me to listen to me – I go into panic – feeling very exposed and vulnerable – afraid that they can see into the depths of me and see how “bad” I really am…..yet my brain doesn’t know where the feeling is coming from…….I especially hate for them to look into my eyes (in case they can see)….yet I panic if they DON’T look at me because then I wonder if I really exist….how can life be so full of Catch 22’s????? So…..it’s hoarding to a degree….but mostly a LOT of disorganization……….